Product Introduction: This Car kit, is designed based on the Arduino uno board, together with 2-channel & 16-channel servo shield board to d..
IntroductionThis product is an Arduino printing wire. Its length is 30cm, which can very conveniently to connect your PC, to avoid too long cabl..
IntroductionThis LinkSprite ATWIN Quad-band GPRS/GSM shield has PCB etched antenna, so n..
MEGA Sensor Shield V1.0 Sensor Expansion Board for Arduino Electronic Building Blocks Dedicated FZ0045FeaturesFor Arduino is an open-source phys..
IntroductionThis series include size: 2.4”, 3.2”, 3.2”-W (Wide screen), 4.3”, 5.0”, 7.0”. This item is the 7 inch TFT screen. If need other size..
IntroductionCore is the concept of smart home make it easy for people to enjoy life.Go out in the outside, you can by telephone, computer to rem.. Shipping ListARDUINO UNO R3 development board: 1 pcsARDUINO V5.0 sensor expansion board: 1 pcsBluetooth module: 1 pcsLCD1602 Module: 1 pc(weld p.. This LCD shield module can be directly inserted into Arduino control board. ResourceReceiving time = Processing time +Shippin..
IntroductionESP8266-Based Serial WiFi Shield for Arduino is designed and developed by Shenzhen Doctors of Intelligence & Technology (SZDOIT)..
IntroductionWhen the module is a 12 feet to take four hours of total Yang digital tube display module (0.36 inches), driver chip for TM1637, jus..
IntroductionThis Accessory Shield for Bluno is specially made forBluno (BLE with Arduino Uno), which is first of itskind in intergrating BT 4.0(..
SpecificationsName: Mega2560 LCDCan be used directly inserted into Mega2560Shipping ListLCD 2560: 1 pieceDocuments3.5-arduino-2560-Schematics.pd.. HOT Sell!!! NewArrival!!! Special Price!! 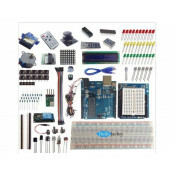 !IntroductionArduino Mega is a ATmega2560 as the core of the micro controller development board, itself..
IntroductionThis Arduino kit is very convenient to use. You can communication with other deveices (like PC, mobile phone, mobile tank/car) by WI..
2009 unique Funduino Duemilanove is equipped with automatic recovery fuse,If you have short circuit, will break immediately. 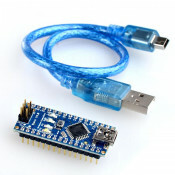 Can be work properl..
IntroductionThis product is an Arduino kit that is able to connect with other devices like PC or mobile phone with bluetooth, Zigbee or Cduino b.. Shipping List Cduino Development Board: 1 piece Cduino base board: 1pcs WIFI module: 1pcs ..
SpecificationName: Intelligent track car/tank chassisThe processor: AT91SAM3X8EAThe working voltage: 3.3 VInput voltage: 7-12VThe input voltage ..
IntroductionThe Iteaduino DUE, is based on the Atmel SAM3X8E ARM Crotex - M3 is the kernel of a micro controller development board, is the Ardui..
IntroductionThis product is a Joysstick shield v2.0. It has added a nRF24L01 and a Nokia 5110 LCD ports which makes the second development of th.. HOT Sell!!! NewArrival!!! Special Price!! 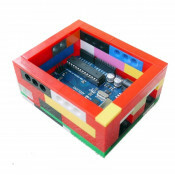 !IntroductionIntelligent turtle is a microcontroller learning application development system, the ardui..
IntroductionThisis a joystick shields, expanding PS2 rocker panels. 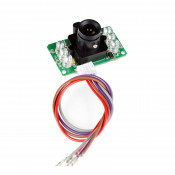 Can be directly pluggedinto the motherboard Arduino, give the Arduino extens..
IntroductionAddnRF24L01 RF interfaceAdd the Nokia 5110 LCD interface, so very convenient game development.Add bluetooth module interface, conven..
IntroductionLS-Y201 is a highly integrated camera module. 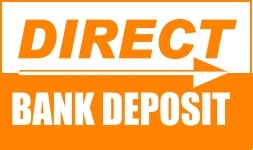 The images are taken by some simple commands and compressed by the JPEG. It has been w.. Shipping ListCduino base board (V2): 1pcsWIFI module: 1pcsOmni directional antenna: 1pcsPower adapter: 1pcsWarm Prompt100% compatible with offic.. 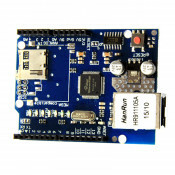 Shipping ListCduino base board: 1pcsWIFI module: 1pcsOmni directional antenna: 1pcsPower adapter: 1pcsWarm Prompt100% compatible with official A..
IntroductionThe official product manuals address: http://leaflabs.com/docs/ide.htmlSpot stock! Board for red heavy gold, and improved.Correcte..
IntroductionThis is a L298 two-way DC motor extension board. It can stack on the arduino and control the two-way DC motor without extra wires. F..